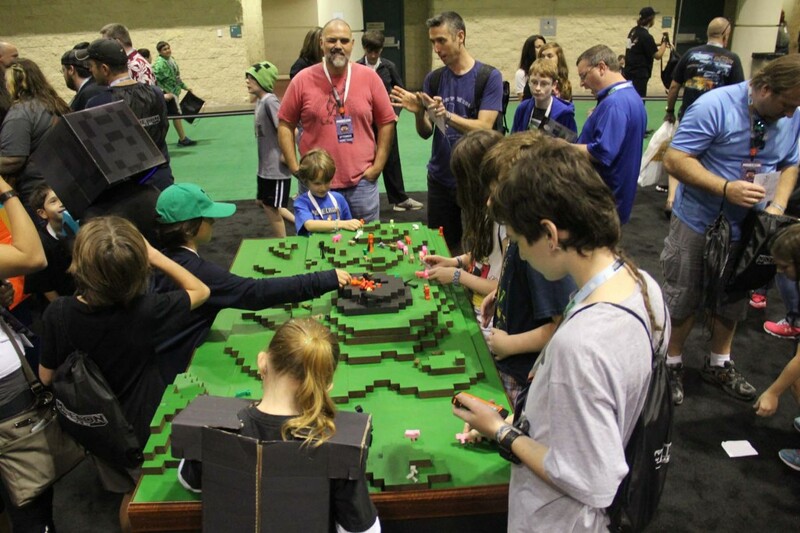 If you are one of the millions who play Minecraft, then you know that MINECON, the annual Minecraft Convention is a very big deal. 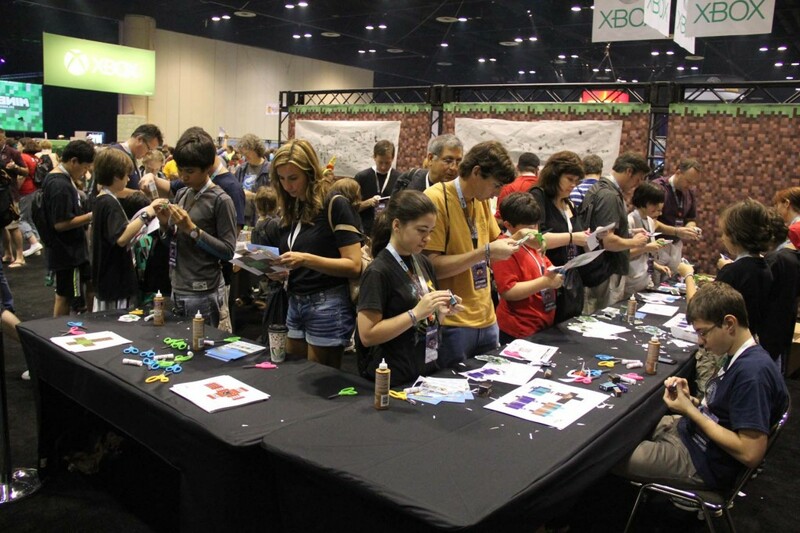 This year, 7500 MINECON tickets sold in less than a minute! 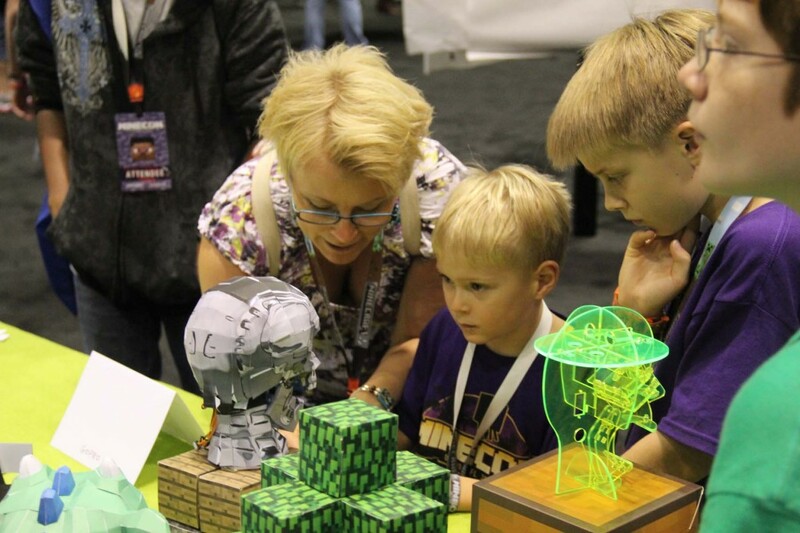 FamiLAB was approached by the MINECON organizers earlier this year, as the organizers wanted to add more interactive elements to the event. 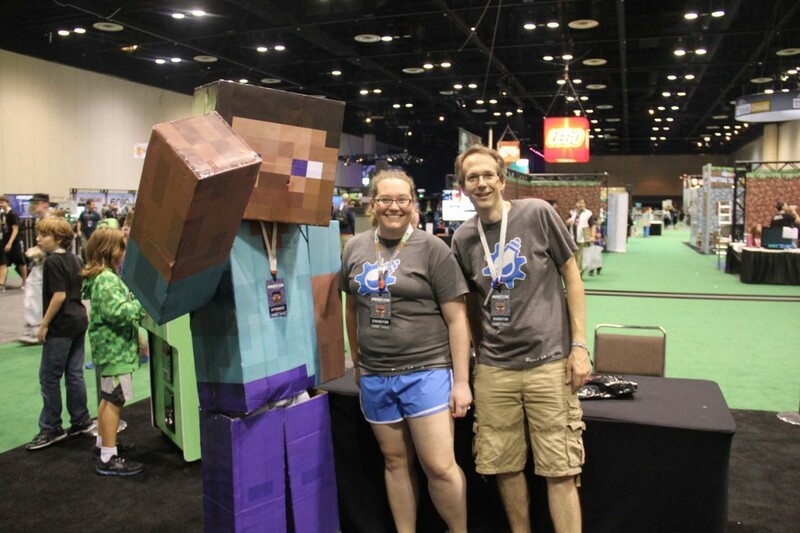 Since we are located in Orlando (the site of MINECON2013), and have lots of event experience producing Orlando Mini Maker Faire, they thought we’d be a great fit. We chatted with them, and provided a number of ideas that would help explore the intersection of a digital video game with the physical world. 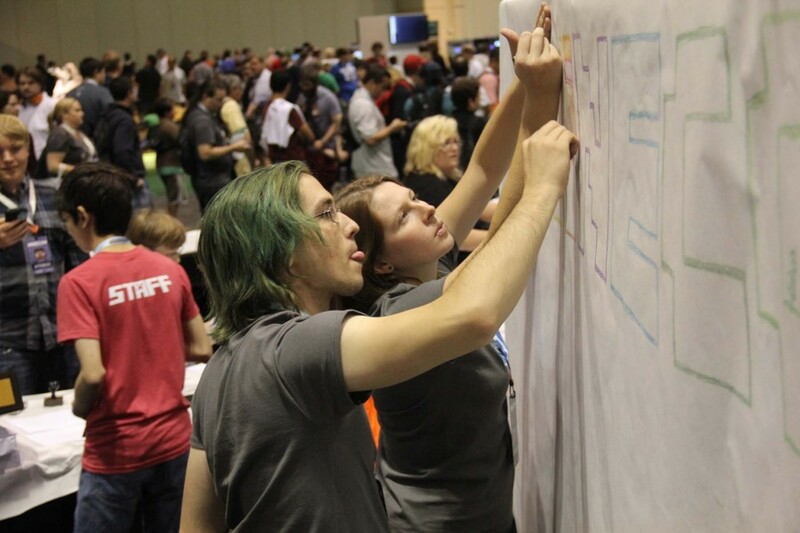 The organizers loved our ideas, and we set out to create a maker experience for 7500 people over two days! 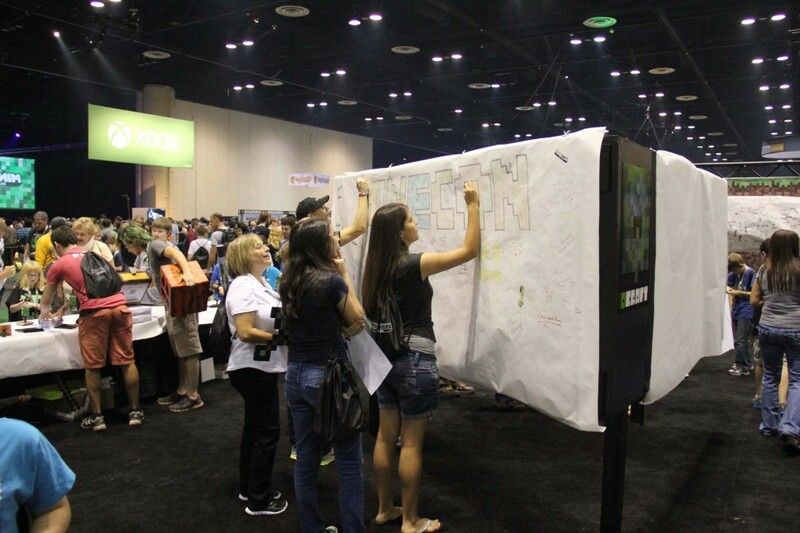 We are very fortunate to have a great crew that works very well together for events – having just finished organizing and staffing Orlando Mini Maker Faire, we knew that our crew would be able to handle the challenge. We had a fantastic time, and the team from the Mojang and the event production company were amazingly easy to work with and very gracious before, during, and after the event. 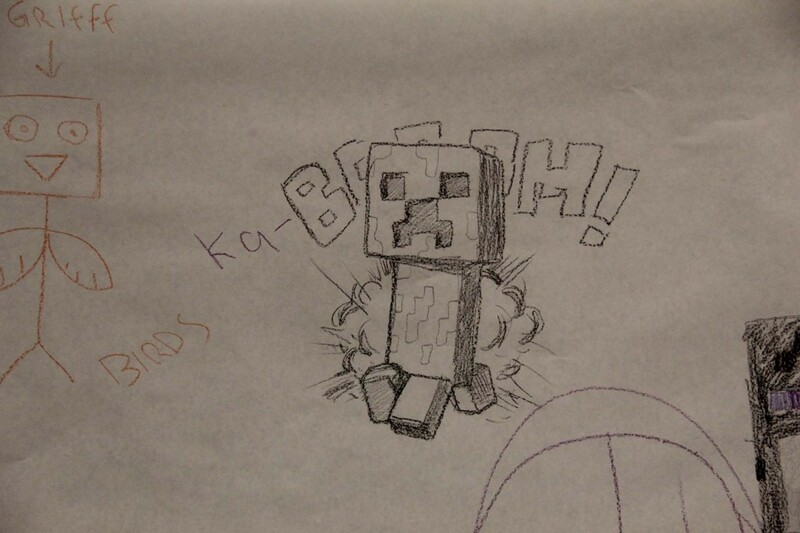 Even those in our crew that don’t play Minecraft told us they had a great time, even with all the hard work. 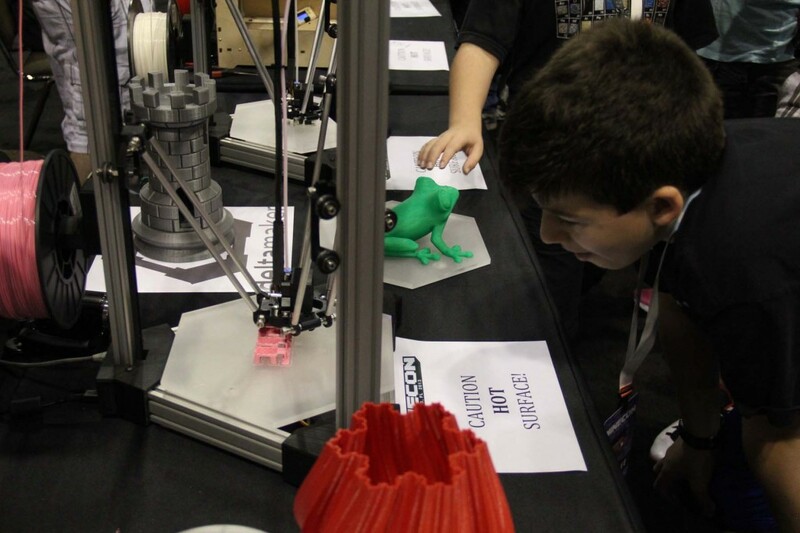 We had six 3D printers at the event (2 DeltaMaker, 2 Ultimaker, 1 MakerBot Replicator, 1 MakerBot Replicator 2) constantly printing small Minecraft objects (creepers, pigs, endermen, etc.) which were then added to a diorama table with a Minecraft terrain. 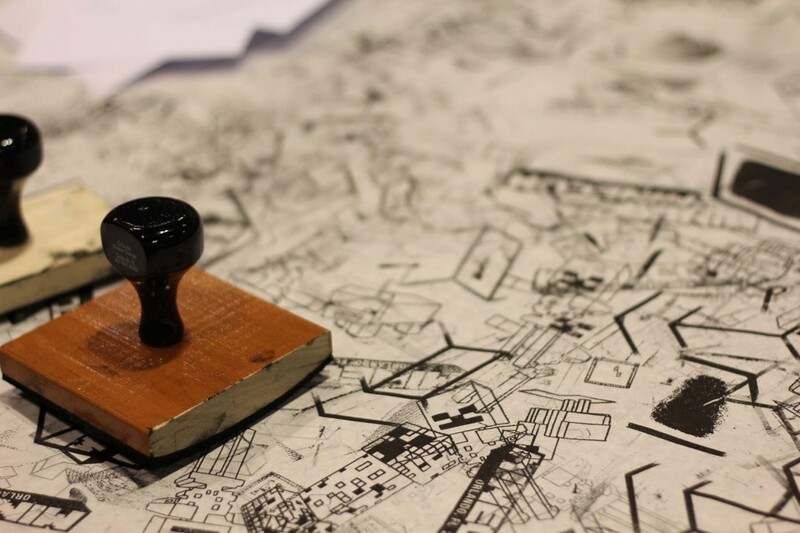 Huge thanks to Matt Armstrong, Laird Popkin, DeltaMaker, and the Printcraft team (Paul, Terry & sons) for spending the weekend printing and telling attendees about 3D printing, and to Roundtable Productions for making the awesome table! The team (family!) 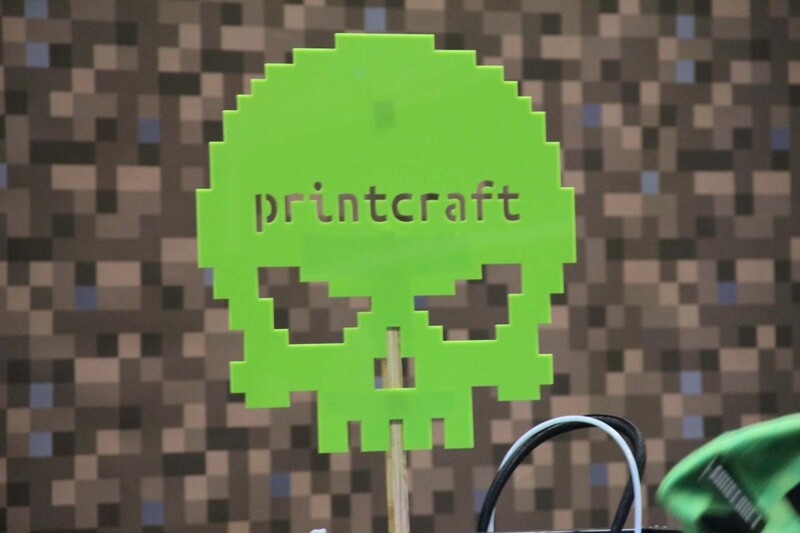 behind printcraft.org spent the weekend with us showing off their tools and services which create amazing 3D prints from directly from Minecraft worlds. 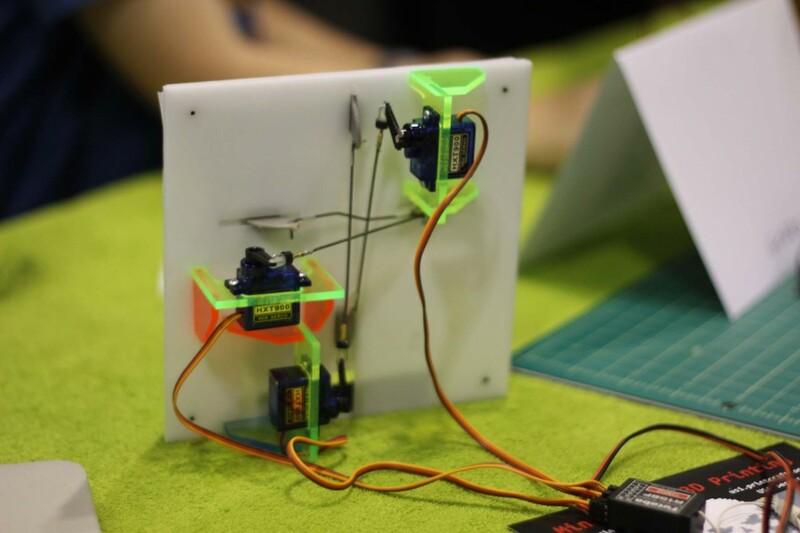 You can play on their server, create something, then order it, or they have a plug-in for your own server which you then can print on your own 3D printer! 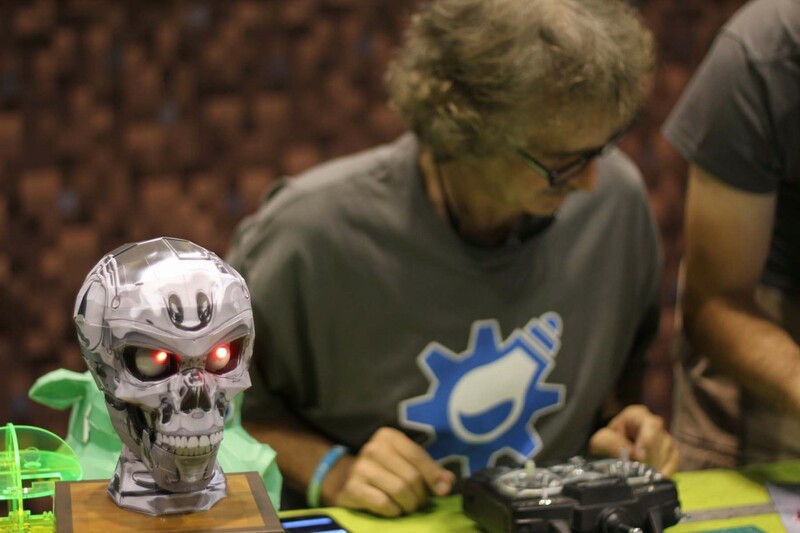 Pat Starace brought out his StarBots (they are still available on Kickstarter!) which are always a hit – and a little something extra. 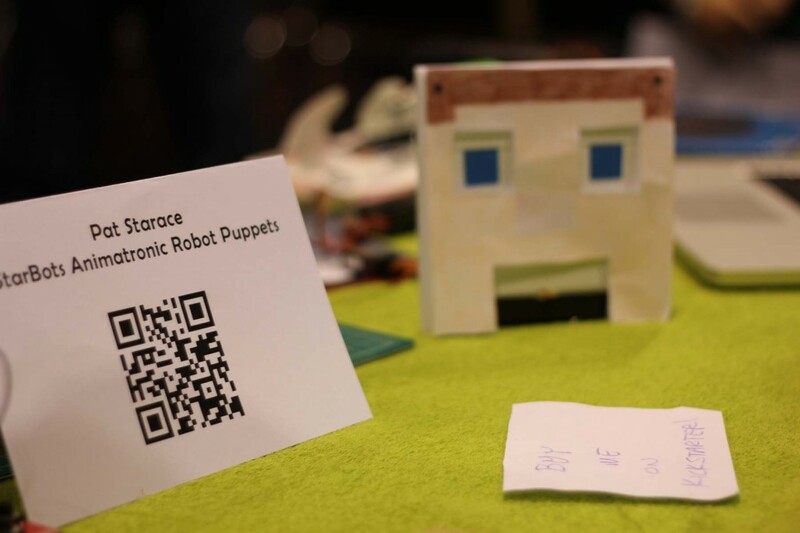 In the 24 hours before the event, Pat created a special StarBot face which is perfect for a Minecraft character – then, while at the event, he (with some help from the awesome John & Lindsey) created a body for it, and created a skin based on CaptainSparklez, one of the Minecraft YouTube celebrities at the event. Once it was singing, there was a constant crowd. Later, CaptainSparklez stopped by for photos and signed Pats newest StarBot – here’s the video posted by CaptainSparklez and some photos of the fun. Mick spent >80 hours repairing, and fully sanding & repainting the cabinet. Keyboard encoding is done using a Ultimarc I-Pac. Joystick & Buttons were purchased from Twisted Quarter. Custom LED RGB Lighting uses neoPixel & Arduino Controllers. 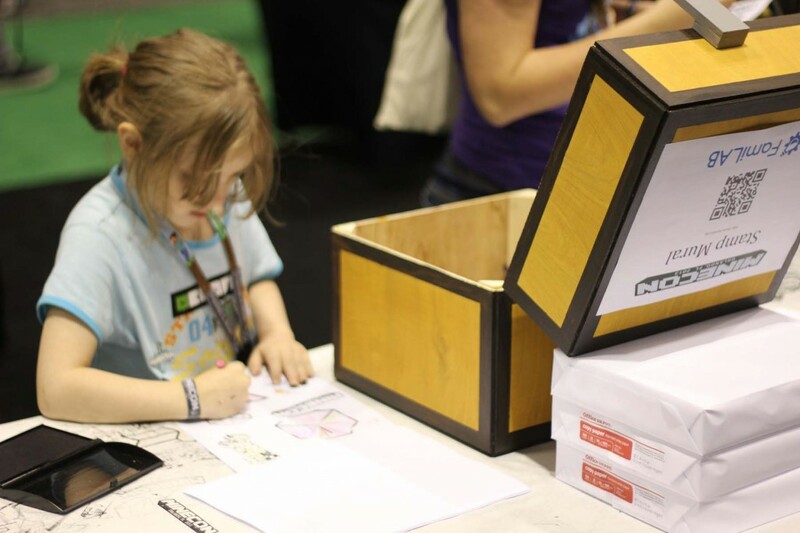 John Bent Cope made a Minecraft chest, then we filled it with crayons! Our 3 sided mural wall…. John and Lindsey got the art started on each wall which really jumpstarted the crowd’s creativity! 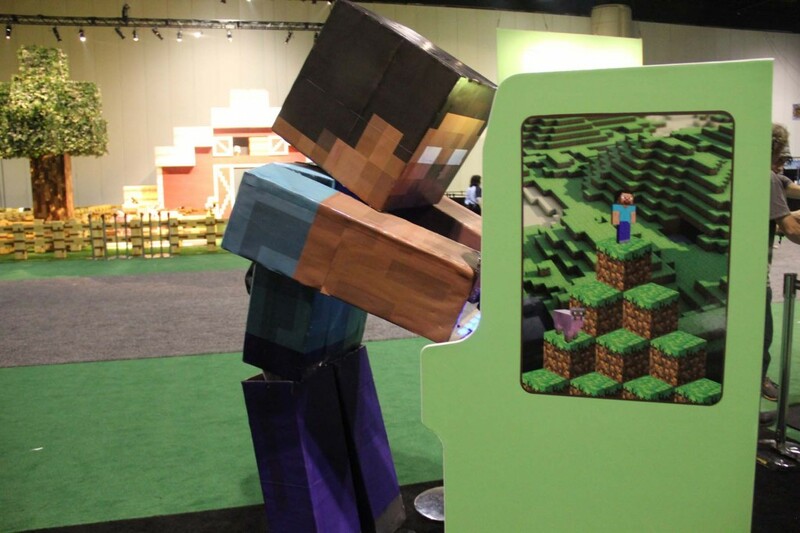 We had 3 stations with large monitors displaying the Minecraft Pi Edition on Raspberry Pis. 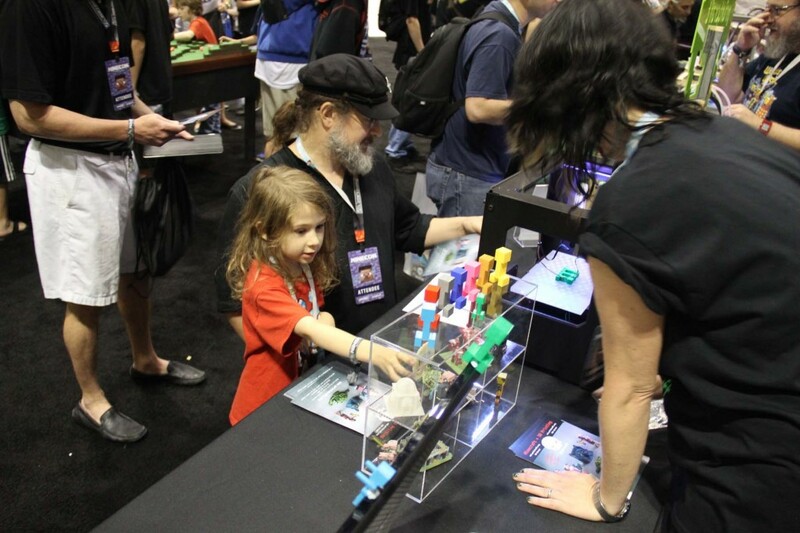 Minecraft Pi Edition was a big hit with the crowd as most didn’t know it existed! Huge thanks to Mac Rutan, Theodore Wahrburg, and Mark McGregor for pulling together some fun examples, and spending two days with the crowd. A special thanks to my co-organizer, Jessica King – we somehow organized this while also organizing Orlando Mini Maker Faire, Jessica’s TEDxOrlando Talk, and travel on two continents! I was the guy in the Steve/Herobrine costume. 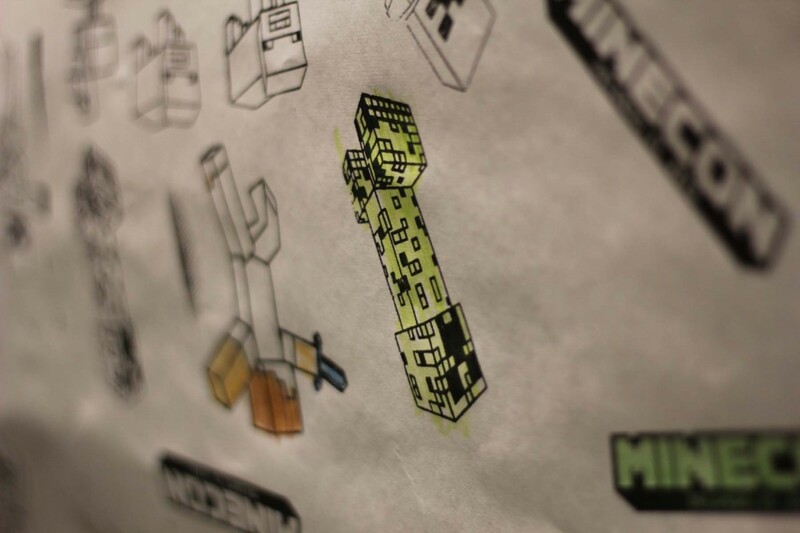 Somebody stamped me on the shoulder with a MineCon 2013 stamp and now everyone thinks I got the costume from Minecon. Love it!! 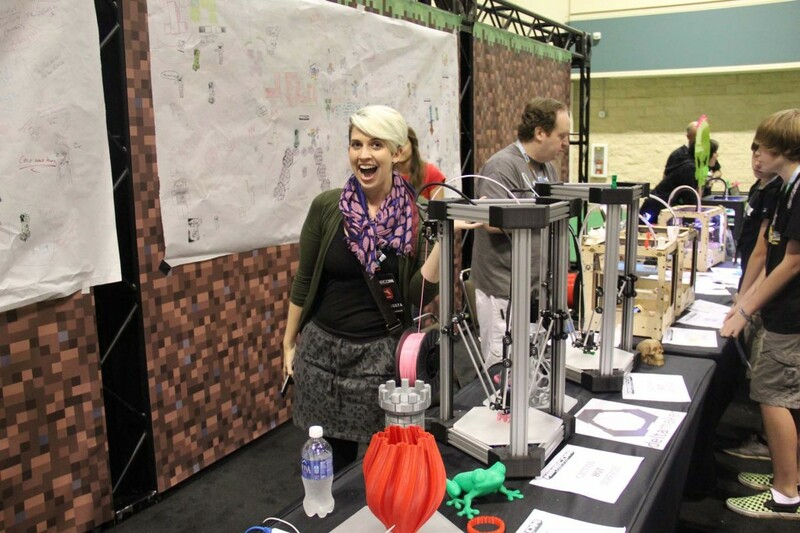 I had a great time talking with ya’ll at the Maker’s Village, cant wait to see what you have in store for next year! I just want to know that is there any issue with the videos which you have shared? because I am not able to view it or I required any special player to run it?